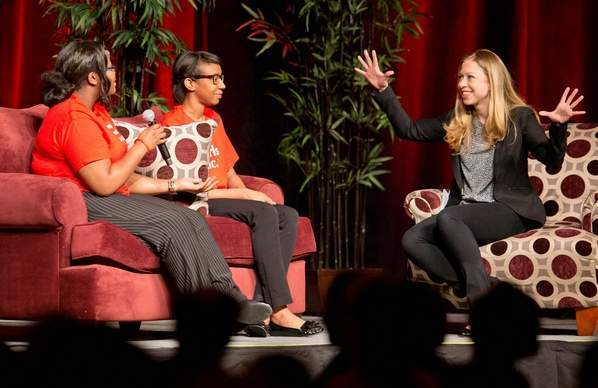 Public Speaking | Girls Inc.
Makayla and Mychael kick it with Chelsea Clinton at Lunch for the Girls. Both girls had the poise and skills to keep the conversation real and to keep it flowing. Read the article. into healthy, educated and independent women. Not just the caring, nurturing adults. Or access to the computer lab. Or daily meals. Or strong community partnerships. Or girl-only space. It’s all of it combined. The whole nine yards. The whole ball of wax. The whole shebang. It’s The Girls Inc. Experience!